Madrid, Munich, Rome. Jürgen Klopp has taken Liverpool without losing to a stage of the Champions Leaguewhere the locations of all the other teams probably involved make it sound more like a chain of fashion houses rather than a football competition. To understand the significance of the achievement, you have to go backwards. 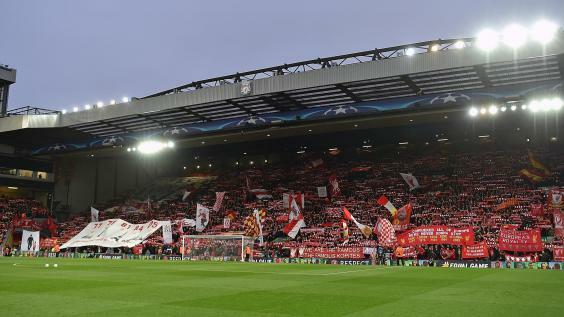 That progression should be sealed at this particular venue in Manchester provided a convenient arch for Liverpool, a club that had played a major role in a golden era of English dominance in the Champions League before tumbling out of contention in 2009 because of poor results against opponents from the perfumed cities of Lyon and Florence. At the start of the next season, Liverpool – now of the Europa League where the challengers came instead from Macedonia – arrived for a league fixture in east Manchester with Javier Mascherano supposedly refusing to travel because he wanted to move to Barcelona and play for Pep Guardiola. The side he wanted to leave was careering towards heaven knows what under feckless owners and a prune-faced manager in Roy Hodgson, who was already feeling the pressure after just two months in the job. When Hodgson played Milan Jovanović and David N’Gog up front, Liverpool lost 3-0. City outclassed and overpowered them. The fall in standards at Anfield had been dreadful. It felt like an initiative had been lost, that a winning culture was disappearing; that an identity was slipping away. While one club was galloping into the sunset, the other was plunging from a turbulent sky. But for one year under Brendan Rodgers, when the football was as good as anything witnessed since 1988 and Liverpool nearly won the title, the gap of nine seasons has mainly been painful. Really, it is a miracle Klopp has returned Liverpool to where it last ventured a decade ago so quickly: to reach the semi-finals of the Champions League and sit comfortably in the top four of the Premier League is spectacular when you consider he is yet to complete his second full season in charge. This is a manager that knows how to knock out the most expensive squad in history, beating them in both legs using a 19-year-old academy product at right-back, an £8.5m left back from Hull, but not using his two established holding midfielders because they were suspended and injured. It becomes another occasion to remind us that Liverpool fits Klopp and Klopp fits Liverpool. As Kevin Sampson, the respected novelist from Merseyside tweeted at the final whistle: ‘European Heritage 5 New Money 1.’ This a club punching above its weight again. Something to consider: Madrid, capital of Spain; two senior clubs – population: 3.1m. Munich, capital of Bavaria, two senior football clubs – population: 1.4m. Rome, capital of Italy; two senior football clubs – population 2.8m. Liverpool, Capital of Culture, 2008; two senior football clubs – population: not quite 485,000. Which comparable sized city in Europe has achieved the same success as Liverpool? There isn’t one. In the last 16 of the Champions League, Liverpool was the 15th smallest city to feature. It might not be as scientific as some would like it to be but the names of the fifth most populated places in each of the major European football countries have not changed much over the last 40 years. Between Frankfurt (Germany), Nice, (France), Palermo (Italy) and Zaragoza (Spain), two of those cities are ports like Liverpool, another is of relative strategic importance like Liverpool, and each has a football culture ingrained into the mindset of the people that live there to the point you know it is a match day by the way old men munch on their bocadillos, bratwursts or salamis. The grand total of European trophies between them all: one. Klopp’s life story is the story of the underdog and Liverpool somehow manages to present itself as the ultimate underdog despite its history of success. Yet this is only the fourth time in 33 years that Liverpool have reached the semis. Before, Liverpool’s reputation had improbably risen because of managerial appointments, the values those managers preached and perhaps above all, the way they traded players. Critics will say Liverpool are not an underdog because they can afford to pay £75m for a defender but that only happened because they knew they were also selling their most talented midfielder to Barcelona for nearly double that amount. Ultimately, Philippe Coutinho might win a Champions League medal sooner than he thought. If he does, he’ll be receiving it in the post. There is more to Liverpool FC than just football, of course. There is Liverpool the city and its economic standing; its place as an outsider in British society: the underdog – the Jack Russell – barking away at the centre of authority. It explains why the supporters of Liverpool relate to defiance and why it is so important for any Liverpool manager to establish this quality in his team as quickly as he can. You cannot debate the possibilities at Liverpool without discussing the supporters because they play such a crucial role. “The fans, they all believe – this is our competition.” That was Pep Guardiola speaking about Liverpool. 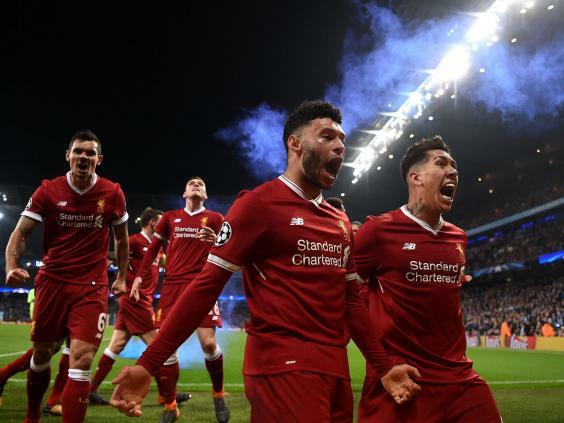 Last night, the Liverpool end at the Etihad was a mass of excitement, optimism, nervousness, worry and dread all at the same time. Watching the first half was torturous. It must have been like seeing a loved one frazzle on the electric chair as City delivered a megawatt performance. Somehow, Liverpool would recover. Somehow, they would end up winning. For Klopp, it really needed to happen to avoid fatalism spreading. Liverpool conceded three in the second half at Crystal Palace, just when it seemed as though they might be back in a title race in 2014. Liverpool conceded three in the second half of a Europa League final against Sevilla, having led heading into the half-time break – a break where There She Goes was transmitted on the public address system and felt like a sign. Liverpool conceded three the in second half against Sevilla again this season to draw 3-3, though in the grand scheme of things that didn’t end up mattering quite so much. If Sevilla were to turn it around in Munich and meet Liverpool in Friday’s draw, who knows what might happen. Seville is another fashion house, albeit one Liverpool are more familiar with. It would present the opportunity of revenge. It would surely also mean a May date in Kiev becomes that bit more realistic. But then, when Liverpool have this sort of momentum, they won’t even mind if it’s Madrid, Munich or Rome instead.